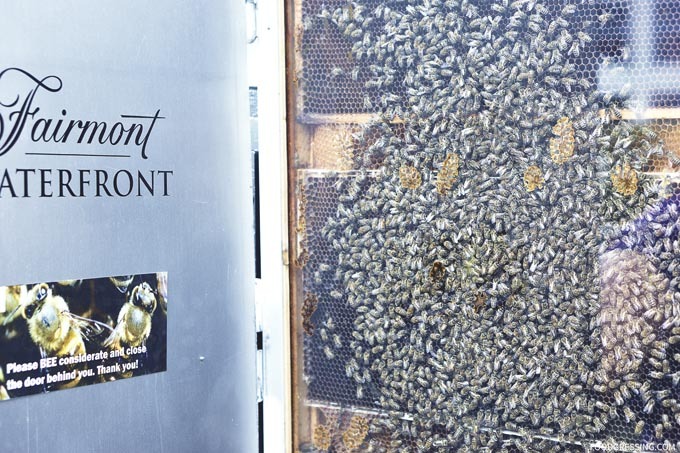 Did you know that the Fairmont Waterfront has been home to over a quarter million honey bees since 2008? 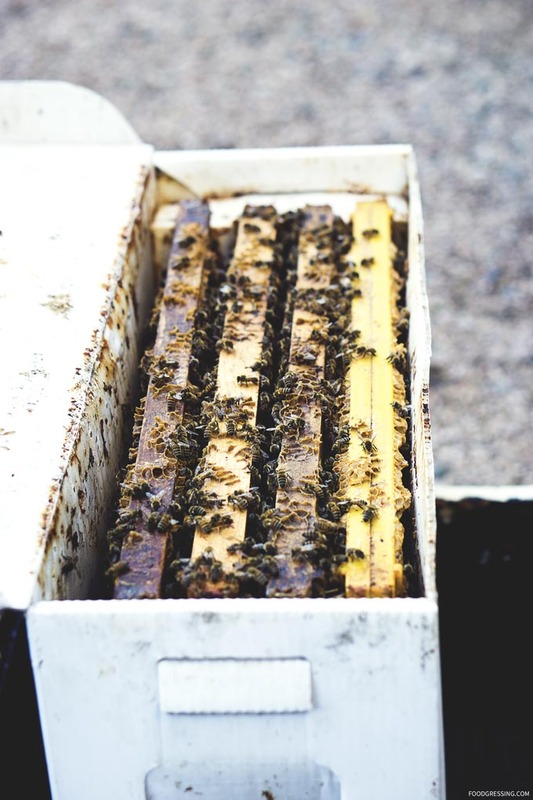 The rooftop of the hotel has an apiary which produces over 200 lbs of honey annually. 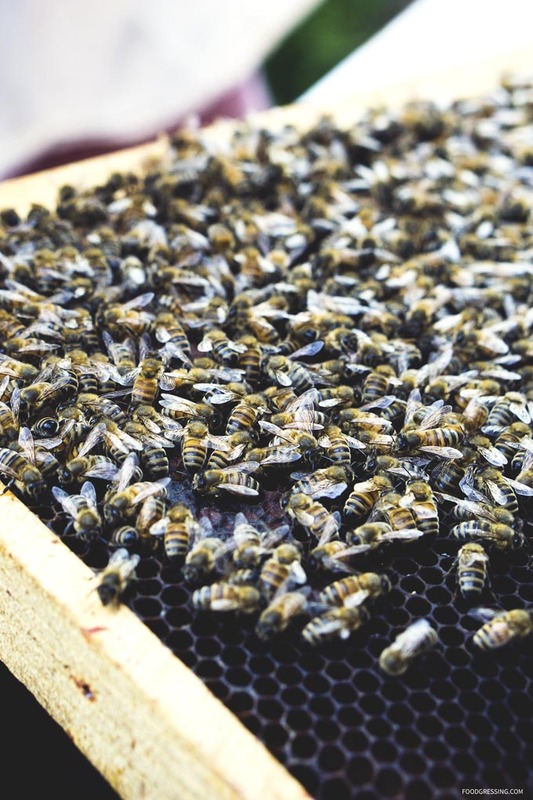 Bees are the most effective animal pollinators and are responsible for the pollination of one third of the food we eat. 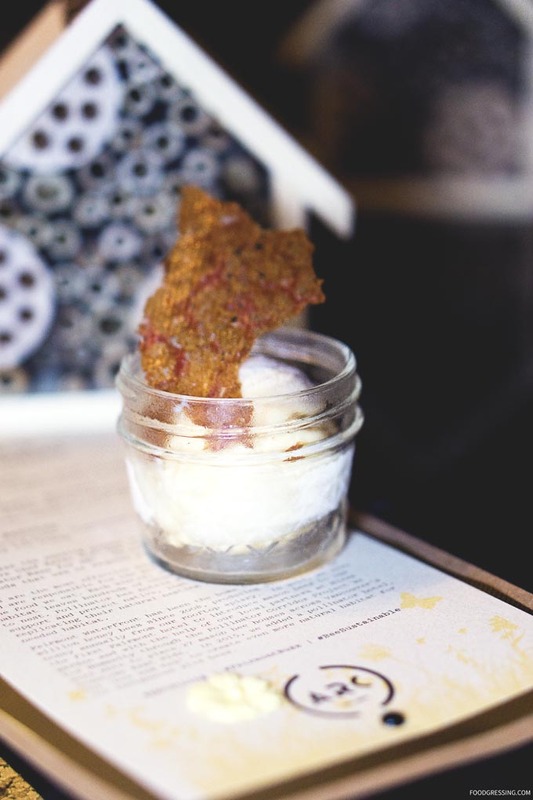 To showcase the powers of pollinators, Executive Chef Karan Suri created a special Pollinator Menu for Arc Restaurant. 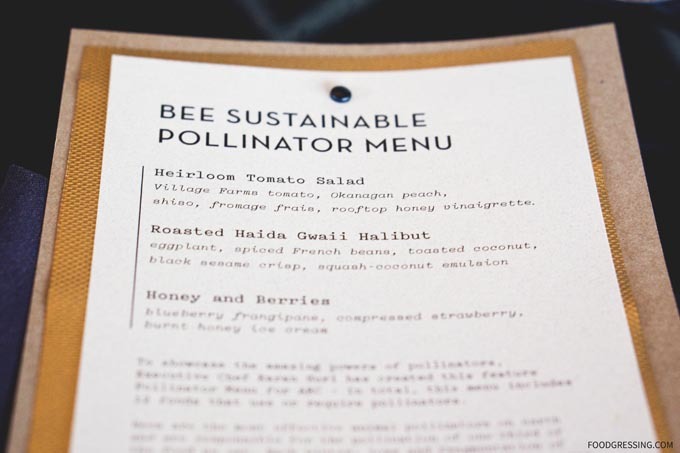 The menu includes 12 foods that use or require pollinators. 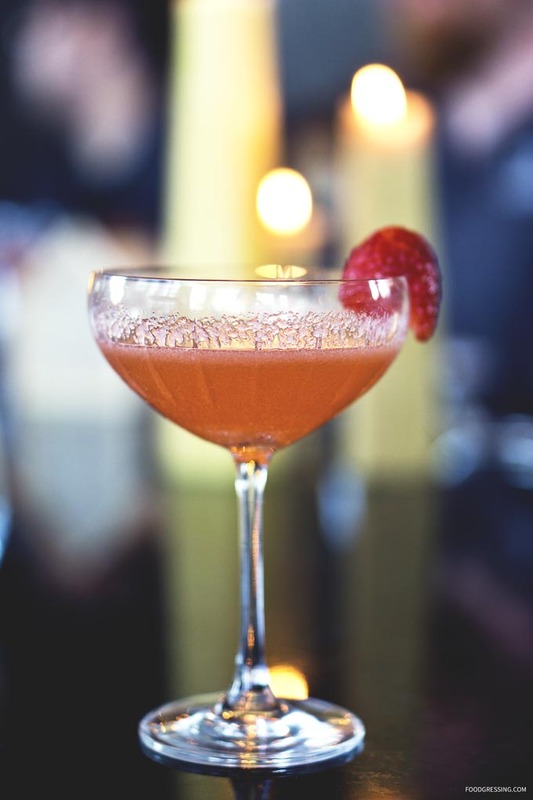 Disclsoure: All food and drinks in this post was complimentary. Opinions are my own. 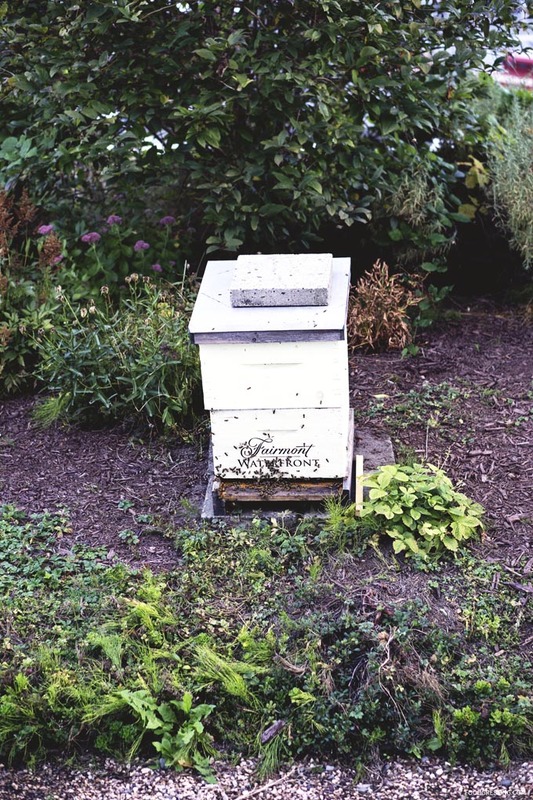 Recently, I had the opportunity to see the rooftop apiary at the Fairmont Waterfront. 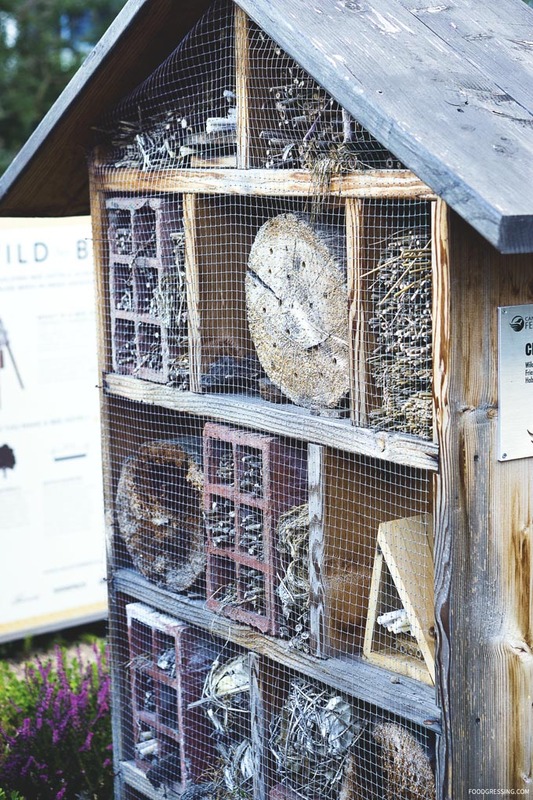 Back in 2014, this was the first Fairmont hotel to introduce mason bees to their garden. 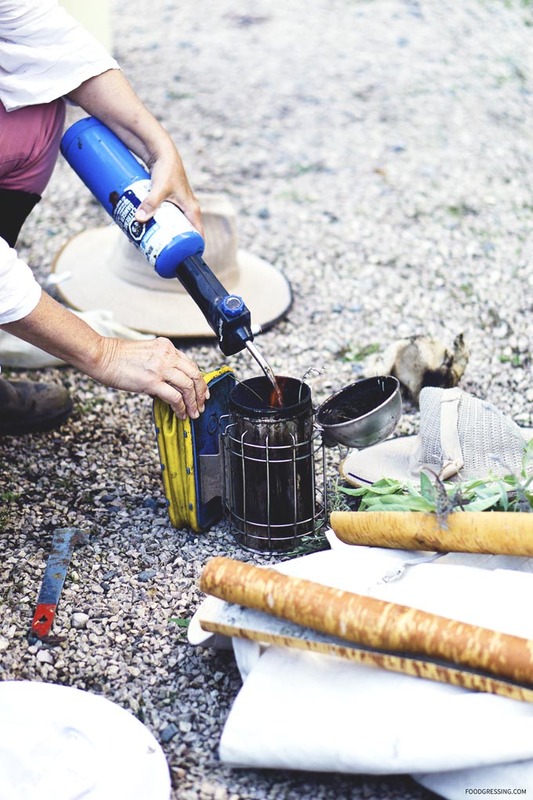 With the help of local partners at Hives for Humanity through the Pollinator Corridor Project, they were able to place 27 mason bee houses across Vancouver’s Downtown East Side. 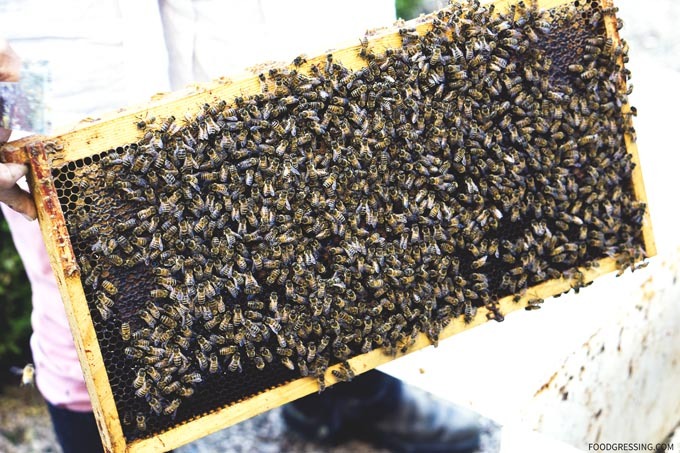 There is an “observation hive” that safely allows guests to get close to the bees in action. In 2015, a pollinator hotel was added – known as “Bee and Bee” – to create eve more natural habitat for indigenous wild bees. The experience of visiting the bees was very zen. The bees were calm and minding their own “bees-ness” as we looked on. We also got to see a bee being born as it emerged from a honeycomb cell and stumbled a bit for the first time walking on its legs. 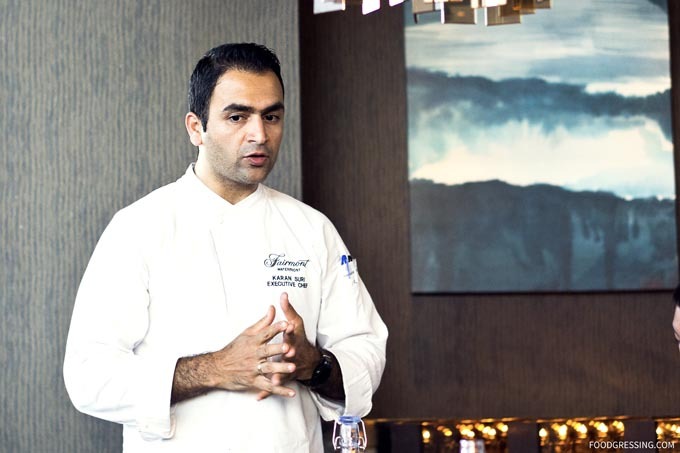 Executive Chef Karan Suri created the special Pollinator Menu for Arc Restaurant featuring mouth watering, honey infused dishes. 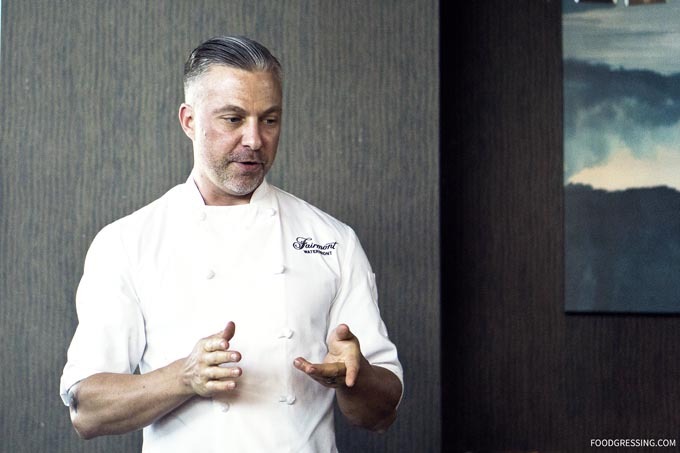 Restaurant Executive Chef Dennis Peckham was also at the event to showcase the dishes. 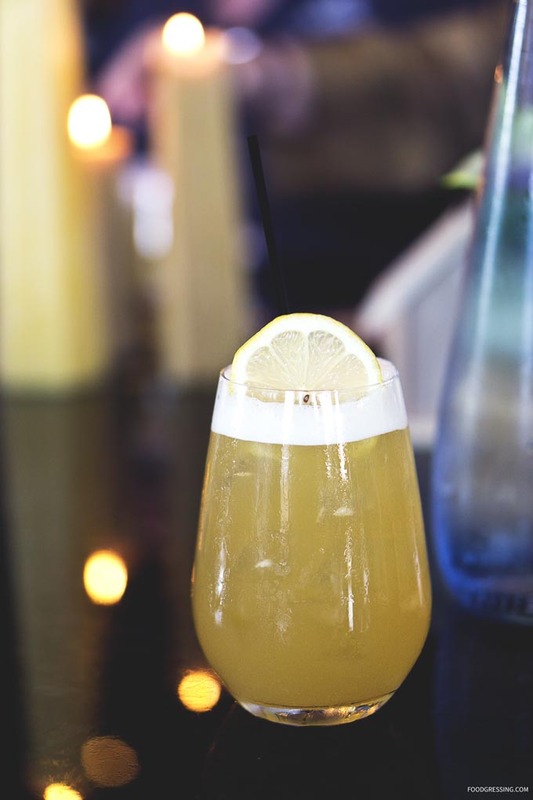 Attendees were treated to cocktails made with Wayward Spirits which specializes in unique spirits made from BC honey. 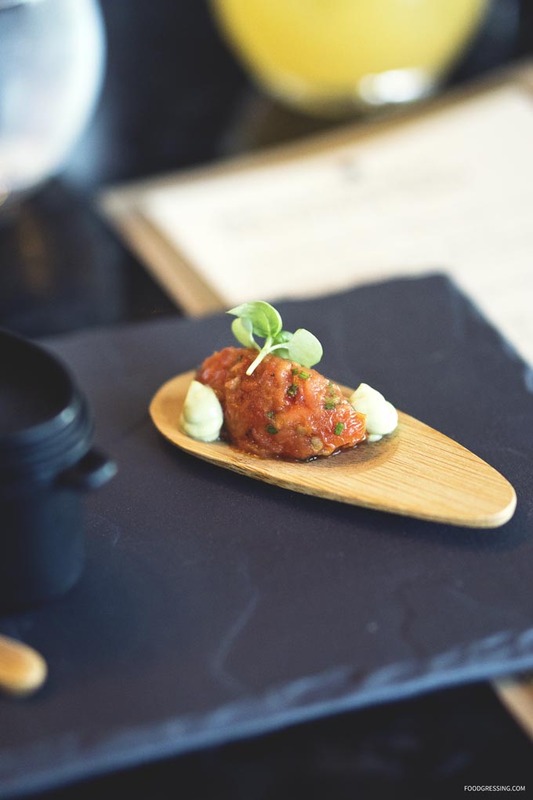 For the amuse bouche, we enjoyed the Beet Cured Salmon (sesame seed, fennel salad, pretzel crostini); Roast Tomato Tartare (avocado, basil, balsamic); and Dungeness Crab (cucumber and melon soup, dill, chili oil). 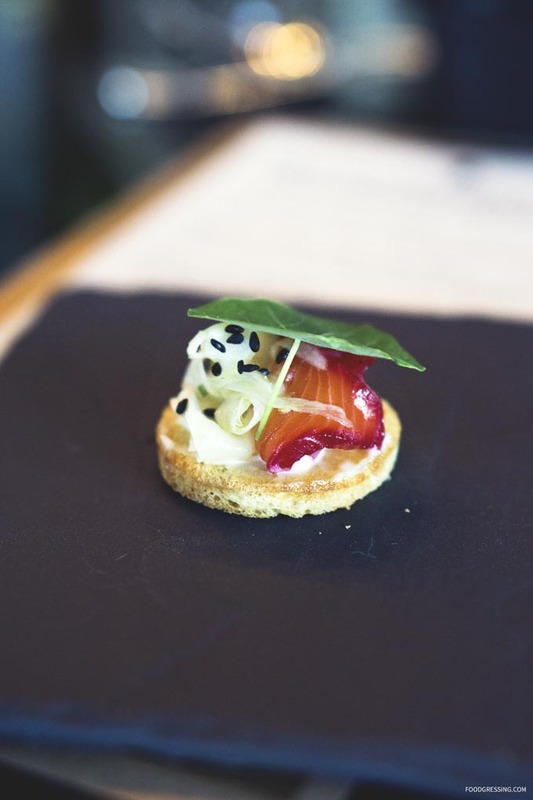 The first course was a refreshing Heirloom Tomato Salad with Village Farms tomato, Okanagan peach, shiso, fromage frais, and rooftop honey vinaigrette. 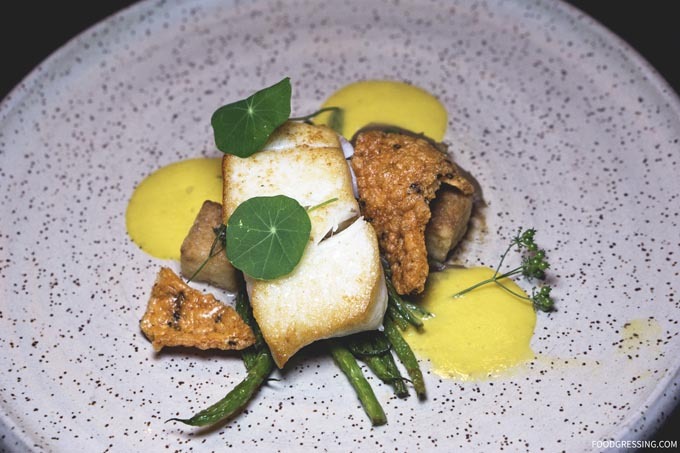 Our delicious main course was a Roasted Haida Gwaii Halibut with eggplant, spiced French beans, toasted coconut, black sesame crispy and squash-coconut emulsion. 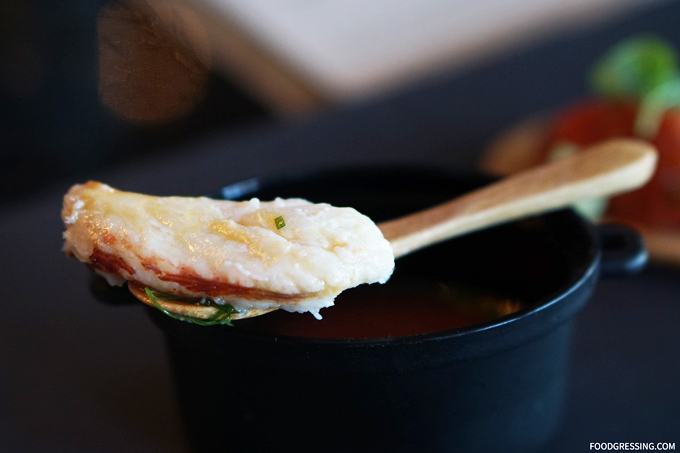 The halibut was lusciously tender and I found the black sesame crispy highly addictive and delicious. 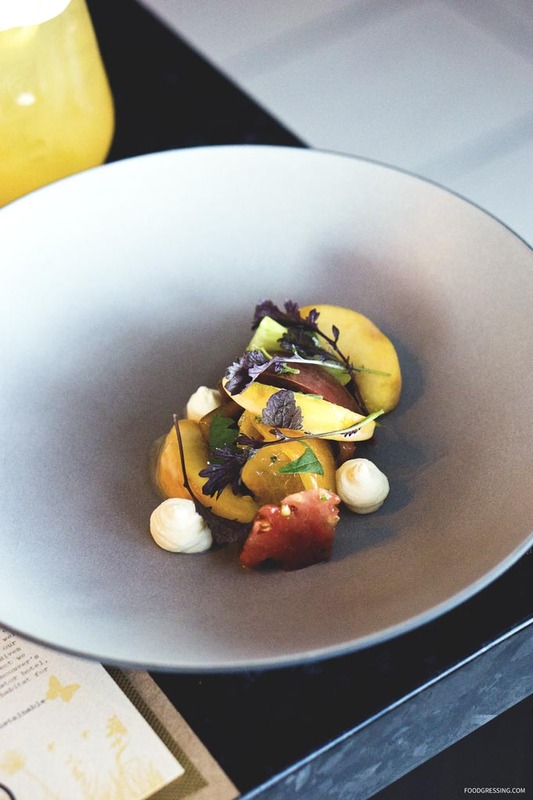 The squash-coconut emulsion added a subtle sweetness to the dish. We also enjoyed some Red Fife bread which as a unique history. Red fife is a heritage grain considered to be Canada’s oldest wheat variety. 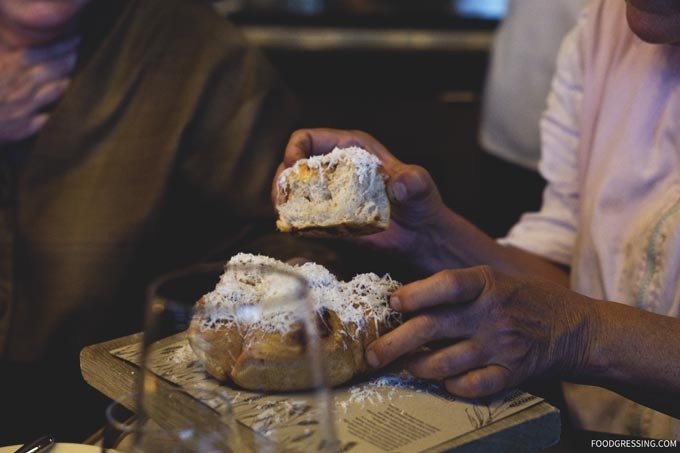 Fife was nearly extinct at one point but is not making a comeback in the artisan baking community. The ending to the meal featured a spectacular display of desserts. 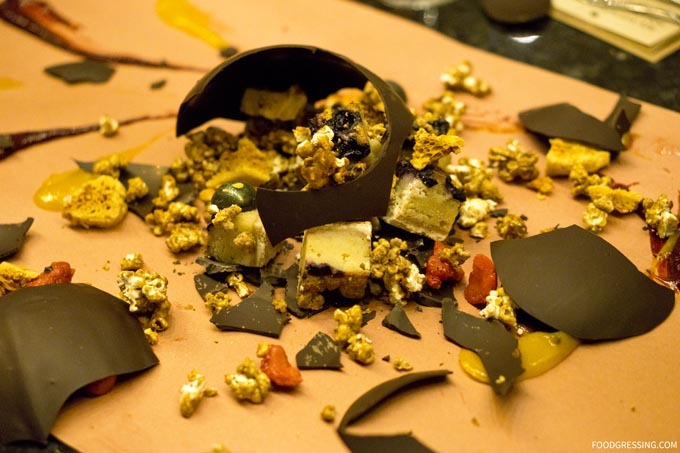 A bee-hive shaped chocolate was smashed onto our table revealing an assortment of delectable honey-infused goodies. And last but not last, honey burnt ice cream – creamy, rich and delicious in flavour.